I've never done ombre nails, so I decided to play around and give them a shot, going from white to teal (Sally Hansen Fairy Teal). Since this was my first time trying them, I only did a sloppy freehand french on top of Essie Made to Honor. 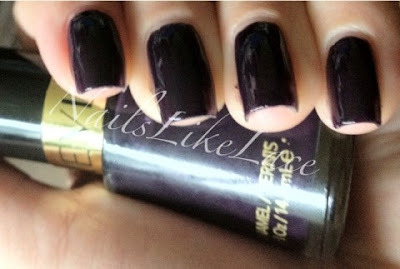 For this look, I only used one nail polish, and that was as my base color: Sally Hansen's Thinking of Blue. I sponged, linearly, with dark and light blue acrylic paint to get the semi-cross stitch jean look. I did the dark blue (Apple Barrel's Bright Blue) horizontally, then light blue (Folk Art's Deep Ocean Blue) vertically. I think a more porous sponge would have helped achieve this effect, but I just used a soft makeup sponge. For the stitching, I mixed yellow paint (Apple Barrel's Bright Yellow) with just a teeny tiny bit of red (Apple Barrel's Bright Red), and an even teenier bit of black (Apple Barrel's Black). I then finished with, of course, a matte topcoat. e.l.f. 's Matte Finisher, to be exact, to both protect the acrylic paint, and because jeans are not shiny, silly! Remember when I showed you Pure ICE's All Night Long the other day? Well, I went and destroyed it with a pearl and a flakie! I never layer, at least not with more than two total polishes, so I figured I'd give it a try. Since this was my first layering, I just used two other colors. I added a coat of Sally Hansen's South Sea Pearl, followed by a coat of Finger Paints' Twisted. This brat is Houdini. We actually named him very appropriately. For instance, when he was a baby, we'd find him up on the bed in the middle of the night when it was way too high up and he was still too itty bitty to climb up there. From there, he evolved into doing disappearing acts. Though not your typical "Hey, where's Tiger? I can't find him anywhere" and he's just well hidden. No. Mr. Houdini here will be inside when you leave and lock the door, then be in the driveway waiting when you get home, with no way to have gotten out. Or he'll be in the kitchen with you and you leave him there, sleeping on a chair. Alone, you make your way down the hall to go into the bedroom, and when you open the door, suddenly there he is curled up on the bed. Sometimes I'd swear there's either two of him or he has many out-of-body experiences or something! It is funny, the lacquer relationship differences in men and women. I'll bring home a gorgeous blue number with a beautiful indigo shift or an Emerald stunner, and if it's a hit, my husband sees it and he says "I want to paint my truck that color." 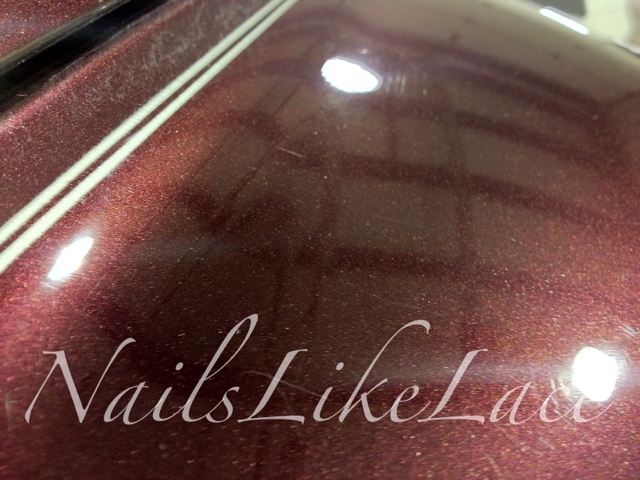 Adversely, when I see a car painted a beautiful color, my first thought is I want nail polish that color!. For instance, there was a truck where he works the other day that I saw and thought hey, I don't have anything like that, it's actually kind of pretty!. On YouTube, Miss80Million has a playlist full of tutorials using Bundle Monster stamping plates. I was watching some of them the other day, trying to find some nail art inspiration. Plus, Bundle Monster is coming out with a new set of plates, and I haven't used the ones I've got for quite a while. Therefore, today's look was inspired by all of the above: Miss80Million's design, my Celebration in the Sky design, the fact that I haven't stamped in a while, and that Bundle Monster is releasing more plates (which I am extremely excited for and can't wait to get)! This isn't one of my creations, but they're wonderful, wonderful! Lotion in the form of a bar - that's spectacular! I've only seen these from Koelzer, and they're really great! 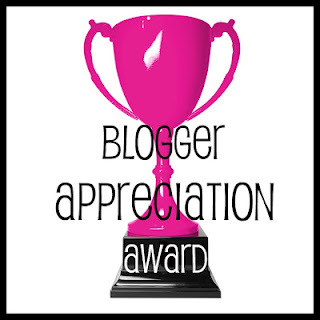 I was tagged by one of the most kind, lovely bloggers I know, Meredith at Polish and Charms, for this award. Thank you so much, Meredith! I really appreciate it! ChromaCraze is having a 150 follower giveaway and offering two awesome prizes! 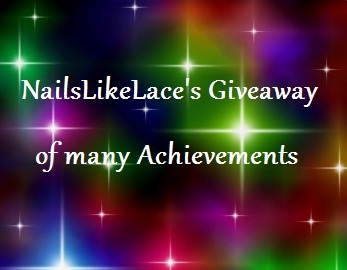 Check it out for a shot at some gorgeous polish! During the next two months, OPI will be releasing two new limited edition polish sets. The first one, in May, is based on Spider Man, and the second, in June, is inspired by Minnie Mouse. Sadly, none of these polishes seem very exciting or original, though. That's terrible, considering I love blue polish and there is one in there. They're all pretty been-there-done-that. The only one that is slightly interesting appears to be a sparkly pink base with heart bits in it, and has already been done a hundred times in the NOPI line. Although I don't plan on picking anything up from either of these, I'll let you decide for yourself if they're worth getting or not. Zoya currently has a semi-promotion going on. They have a new program called Share the Love. They're asking that everyone share one of their posts on Facebook and if it gets 5,000 shares, then everyone with a Zoya account gets 200 free Share the Love points!! What's Share the Love, you ask? 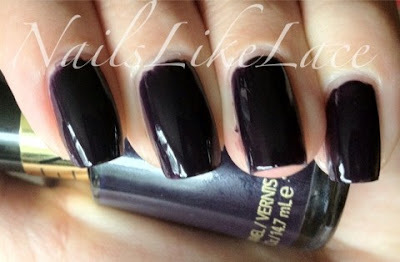 Well, head on over here to the Zoya site and it explains it all. Create yourself a shiny new account (you get a free Zoya for doing so), and then when you share links to the Zoya site you have the ability to receive points towards tons of different discounts and coupons! For instance, if you rack up 300 points, you get a Zoya coupon for $10 off. A mere 200 points earns you a free polish! With 400, you can get a free Qtica Nail Growth Stimulator. What's not to love about free when it comes to the polish world!? I did these nails quite a while ago, but they make me want to revisit the galaxy mani and improve it! My mom has this pillow/pillow case that I had seen about a thousand+ times and it eventually inspired me to create a mani. My hand and brain were definitely not communicating on this one! I imagined it much better than the way it came out.